I’ve got my turban on which only means one thing, I’m feeling a little boho tonight! Why? Because that’s what it says on the invite! It says to come in summer-themed, boho chic attire because Closeup has something fun and exciting to launch. Hmmm what might that be? Read on! 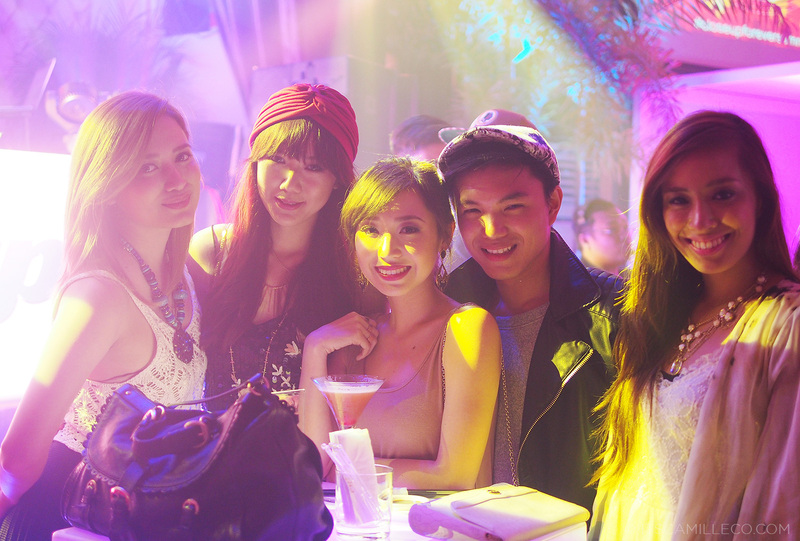 The Closeup launch party was held at Privé Luxury Club at The Fort last October 1. 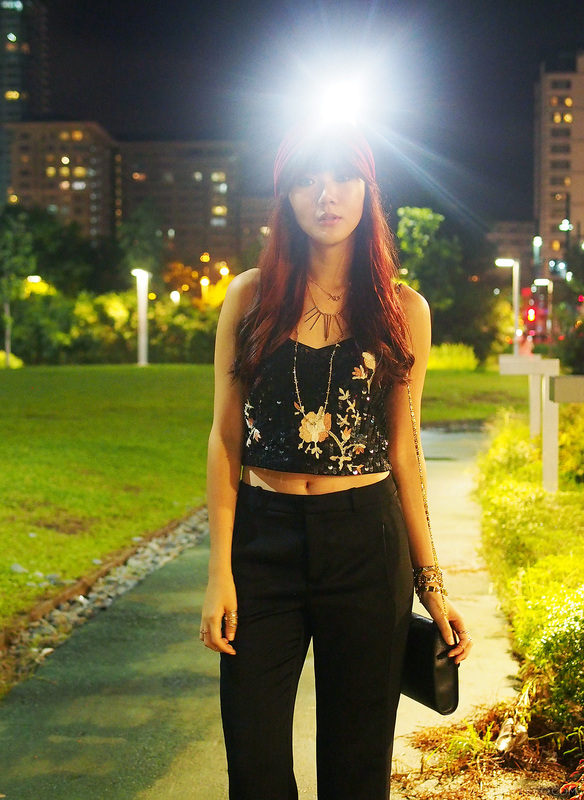 Given the time and venue of the party, I made sure my boho chic attire was also appropriate for a night out. I might be in florals and a cropped top but the mature colors and sequins made my outfit Privé-ready! Now on to the super exciting launch! 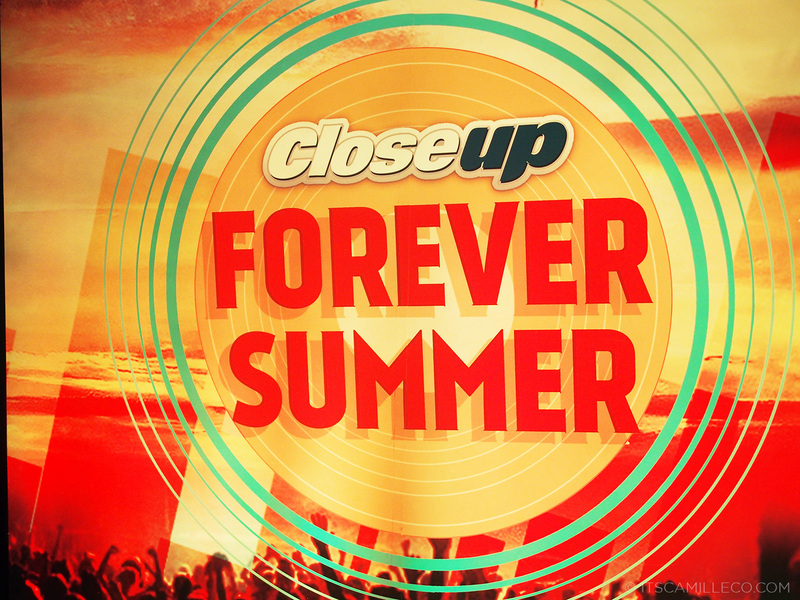 It’s the launch of Closeup’s Forever Summer!!! But how can this be? Summer in November? I say, why not? Remember last April’s hit summer music festival Closeup Summer Solstice? 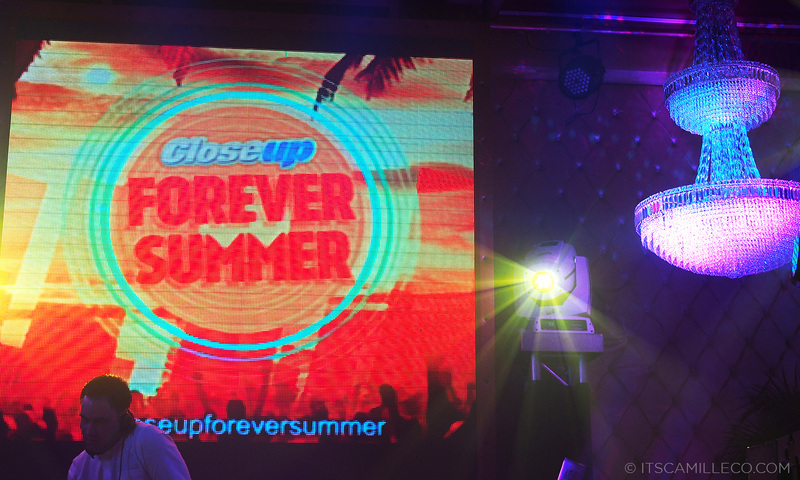 This November 9th, Closeup is set to throw another hot music festival dubbed Closeup Forever Summer! 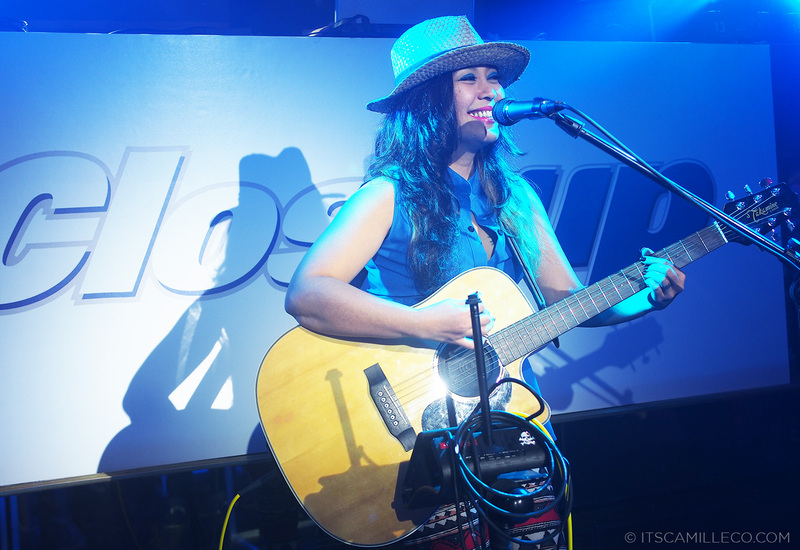 But to make it even more interesting, Closeup is bringing the beach to the city with non-stop music by local favorites and international artists. Pools and various water elements will also be set up to give off that summer beach vibe. I can already see it! It’s going to be one super fun and not to mention, wet party! As early as now, I’m telling you people to come prepared! 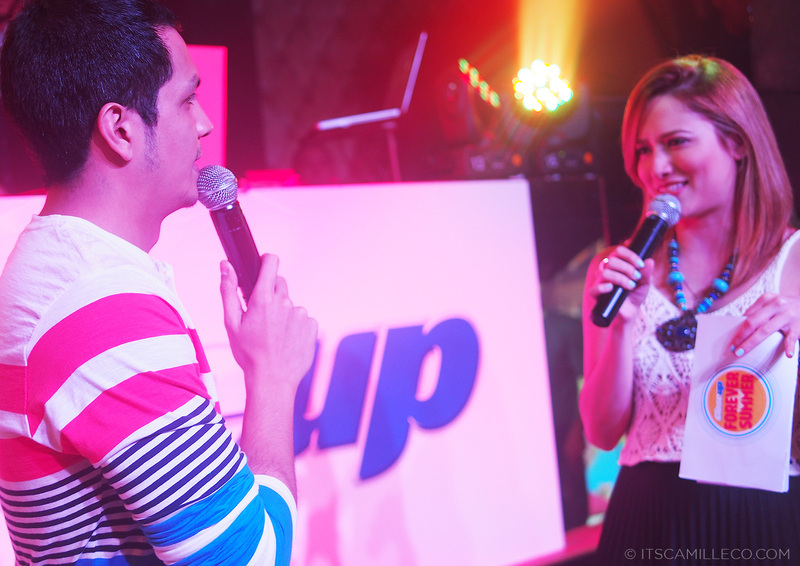 Hosts of the night Aaron Atayde and Nicole Andersson revealed Closeup Forever Summer’s lineup. First up, Closeup’s very own Aia De Leon and Nights Of Rizal! 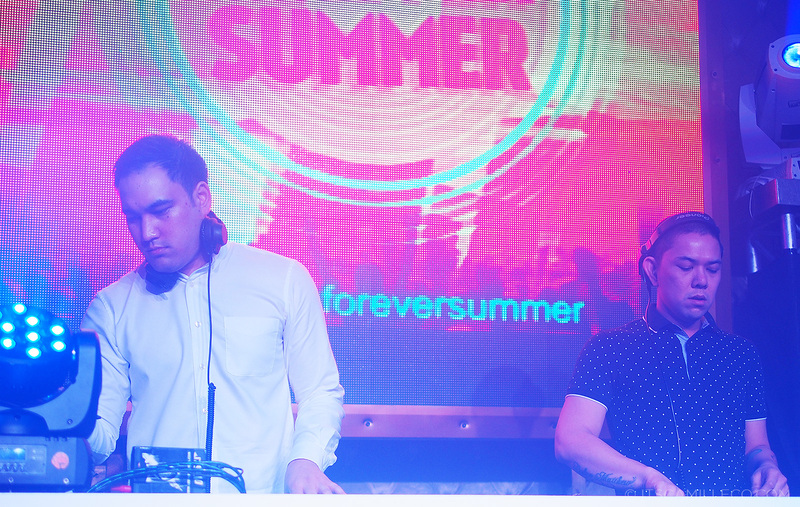 They’re the talented duo behind Closeup Forever Summer’s theme song. Aside from them, local band Taken By Cars are also performing. Local favorites DJ Ace Ramos and DJ Mars Miranda will be performing a much-anticipated duo set at the music festival too. We got a little taste of their showdown during the launch and I must say, they’re going to get everybody up and dancing at the festival, that I’m sure of! 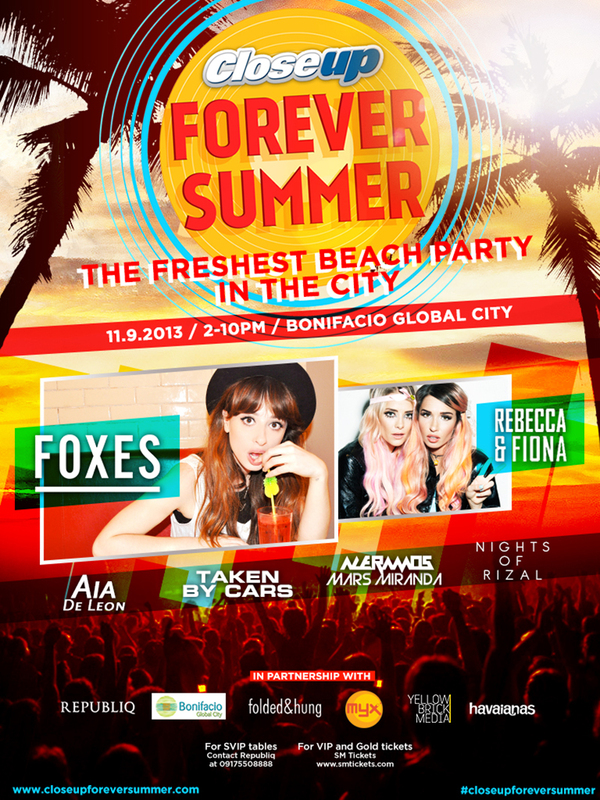 And finally, Closeup Forever Summer’s headliners–Foxes and female duo, Rebecca & Fiona! I’m sure you all know Foxes as the voice behind Zedd’s hit EDM single “Clarity.” The song is practically this year’s global summer anthem! Aside from “Clarity”, Foxes will also be performing her other hit songs like “Youth,” ”Warrior” and “White Houses”. Rebecca & Fiona, on the other hand, have plenty to perform as well. The Grammy winning duo from Sweden have previously beat out Avicii and Swedish House Mafia for a Swedish Grammy in 2011 so surely, these ladies can get anyone dancing like there’s no tomorrow! They’re known to drive crowds wild with their voice and mixing, having frequented the hottest summer parties in the world–most notably, the Marquee Day Club in Las Vegas and Ibiza’s hottest clubs. Thankfully, we don’t need to fly to these places to hear them live because Closeup is bringing them in! Woot! Can you tell how excited we are? Needless to say, I, along with my fellow Closeup Ambassadors and friends, are going to Closeup Forever Summer. No chance in hell are we going to miss this! You shouldn’t too! And bring your friends along! Because Closeup is all about brining people closer, all tickets are sold in pairs or buy one take one! VIP Tickets go for PHP 1,500 and Gold Tickets for PHP 1,000 at SM Tickets. SVIP Tables are available through Republiq at 0917 550 8888 or 856 0914. See you at the ultimate party on November 9, Saturday at Bonifacio Global City Lot 1 Federacion Drive corner 9th Avenue! Such a different style of boho chic, Ms Camille! Never thought that boho chic can look elegant as well.. i really love your sequined top.. and love that Nina Ricci vintage bag too! <3 How do we know that item is a vintage item? is pre-loved item consider as vintage too? I'm still a bit confuse now..
Can we join even if we are still below 18 yrs old? Really want to celebrate my birthday there!! Lovely outfit, you always look gorgeous. Goooo! It’s so sulit too! Are those http://statigr.am/p/567986006264408279_19734633 your Zanottis on Mikee Cojuangco’s feet? Did you style her for this event or nagkataon lang na shame shoes talaga kayo? haha! Can’t wait for you to blog about this event and your outfit! BTW what did you get from LuisaviaRoma? Bag? What brand? Haha! Nope not mine :) I doubt we’re the same shoe size too! Ooooh Camille, what a lovely necklace ! So amazing ! And you look always so irresistible in your Zanotti heels ! You have the perfect feet to wear those beautiful, classy heels ! Love how you have layered your necklaces especially the xoxo necklace and the flowers on your cropped top looks really pretty. I have a turban which i haven’t worn at all. May be i should get it out. Thanks Naaj! You should! Then you’ll look like a fortune teller like me haha! Awwww but I’m sure you’ll have fun! Woohoo!!!! I’ve heard about this!!! I hope I see you!!! Though im sure you’re going to be part of the SVIP. Haha! Im planning on going but can you please give us tips on what we should wear? Haha thanks ms. Camille!! !